Febreze can help those who are "nasally challenged". With their great scents, you rest easy knowing what smells like home to you, may be offensive to others. We all get what is called noseblindness, a nasal condition where you become accustomed to the odor around you over time, which are created by the odor cycle. I recently hosted a movie night with some friends and gave them the noseblind test. I was astounded at the results. You can take the noseblindeness test by clicking here. My guests arrived, I popped some popcorn before I started the movie. The movie began and we we enjoyed the buttery popcorn as the movie played. I try to make my home as inviting as possible. I want my home to smell clean and not have any foul odors. I use products and flowers to make my home look and smell clean and not have any unpleasant odors. I do not have any pets, but I am a smoker. I know those odors are hard to mask to those that do not smoke. After our popcorn and movie, I used a variety of Febreze products to see for myself, just what my guests thought about the odors in my home before and after the movie. I can tell you this much, I was surprised to say the least. Febreze has a variety of products, fabric spray, candles, air fresheners, plug-in warmers with refills in different scents that eliminates odors and freshens your home.. After hosting my guests to a a movie night and finding out about the odors in my home, I will be using Febreze products to help with the odors I have taken for granted because of my noseblindness. There are a variety of products and scents made by Febreze that will help your home be free of unpleasant odors and smell inviting! Their scents are amazing! Febreze contains a molecule called Cyclodextrin that traps and elimates bad odors. This patented technology eliminates odors and leaves behind a pleasant scent. You can take the noseblindness test by clicking here. Please be sure and follow Febreze on Facebook and Twitter to get the latest news on their wonderful products. 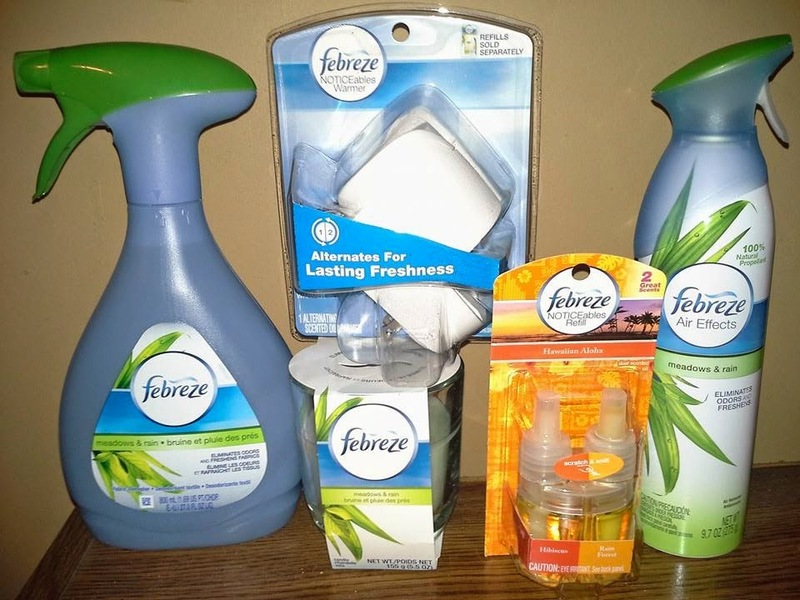 One LUCKY reader will win a prize package from Febreze AND an $60 AMEX gift card. Please use the Rafflecopter below to enter. I have been meaning to try the candles out for some time now! I like the Jasmine mist. The scent makes my bedroom smell fresh! I LOVE their car air fresheners because they make my car smell SO good! I love the air effects spray because it's quick and easy to use. I love anything Febreze! It's the only freshener I use because it works! I love the Linen and Sky scent!!! 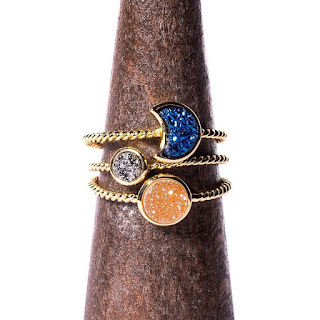 I LOVE!! Febreze Noticeable, they keep my whole house fresh and they last a long time. I love all things fabreeze. I think I like the spray that you can put on carpet the best. We have Febreze in several rooms. I love the scents at the holidays, and the summery scents right now. I Love Febreeze, only product I use for air fresheners! I like the Febreeze Fabric Refresher in either unscented or free. The candles are the only things that I buy. I don't like the idea of spraying chemicals into the air. We are doing this test on Friday night. I have a couple of girl friends coming over for some movies & popcorn! I love Febreeze products they are all I use in our home. Love the smell of febreeze -great way to deodorize the air. I love their lavender spray! I use it on our pillows. We use the Air Effect Allergen Reducer Febreze. I like the Air Effects Nectar because it smells fresh. My favorite is the febreze NOTICEables plugins. I love them in the bathroom or hallway. I love febreeze spray. I like to spray the couch before going to bed, so I don't feel like I'm waiting for it to dry. Febreze products smell so good. My daughter loves using it in her room. I love their car air fresheners! I love febreze I have some of it in almost every room in my house. I hate lingering smells from trash or food. I use Febreze products and they really work. I especially love to use this in my trash can in the kitchen. I like the Hawaiian Breeze air effects because it smells good. I like Febreze Noticeables Meadows & Rain Air Freshener because it is convenient and makes my house smell great. Fabreze Fabric Refresher is my favorite. I like the original Febreeze and the warming plug ins. My favorite is the Febreze Noticables because they make each room come to life with fragrance. I also love all the different scents they keep coming out with. My favorite product is the Febreze Air Effects in the Sweet Pea Petal scent. i like the air effects in grapefruit because we love citrus smells. And our house is constantly smelling like pee and poopy diapers! so gross! Air Effects - we use it all the time at home! I've used Febreze products in our home and I love how well they work. We have a pet and they make the whole house smell fresh and not even smell like we have pets. My favorite is Bedding Refresher: Moonlit Lavender because its very soothing. Nice giveaway. I like febreeze. They smell amazing. Thank you for sharing. I like the wall plug-ins plug them in and forget about it. I love the Frebreeze plugins they keep the house smelling good. I like fabric fresheners, it helps to fabrics clean and fresh. My favorite is the Fabric Refresher in Rain scent because it helps eliminate odors and smells refreshing! We always use the Gain scented Febreeze spray. That is my favorite as I have not tried the other products. I love their candles. They make the house smell so good! I like the fabric freshener because it helps a lot with dog odors on the sofa. We try to avoid phthlates. Do you know if this is okay then? I Love The Febreze Fabric Freshener! I really like the Air Effects- the one in the spray can. It is super easy and I don't have to leave something sitting around that the kids can get into! I like the spray that is rain scented. I like the rain scented spray because of the scent. These do a really good job of taking that odor away, don't they? My favorite product is Air Effects in the Crisp Clean scent because it does a good job of removing odors. We like set & refresh because it gets rid of bathroom odors. We love the fabric sprays because they linger in the fabrics for days. I like the Febreeze Air Effects Grapefruit Fizz - love the scent. I love the Febreeze Air Effects Spray in Thai Dragon Fruit! I love the Air Effects and the Candles! The best! I love Febreeze. Love the thai dragonfruit air effects in our bathroom! The fabric febreze is my favorite. It was revolutionary when it came out, and to me it still is. I like the Air Effects Sweet Peas because it makes my house smells nice. I like the Grapefruit fizz air effects because it is an uplifting summertime smell! I love their candles for the bathrooms in the house. They work great! I like the Air Effects Spray because it can be used as needed! clean linen air effects, it smells fresh. I like the fabric refreasher. I love Febreze Noticebles Spring & Renewal. I like the candles the best, they all smell so great! I like the jasmine Air Effects—it's my favorite scent and it works! I like Air Effects, Freshly Clean. i like the wildflower febreeze air effects. i think it smells amazing. I love the air effects -- particularly the rain scent because it smells really good plus it eliminates odors very quickly! Love their room spary, it really works well! I use Febreeze Air Effects. I like the air effects spray. I like the plug-in warmers because they are easy to use and work great.